Students may find out more about specific research opportunities by contacting neuroscience faculty. Additional opportunities for research exist at the Medical University of South Carolina. 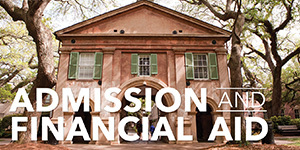 Contact the Program Director or a College of Charleston faculty member for more information. 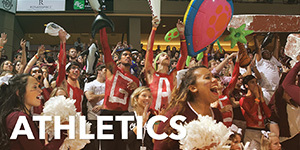 Information about opportunities outside of the Charleston area can be found at http://www.webguru.neu.edu/. The Society for Neuroscience annual conference is the largest neuroscience meeting in the world, typically bringing together tens of thousands of neuroscience researchers from all over the globe. It is typically held in October or November. Neuropalooza is an annual MUSC – CofC neuroscience symposium that brings together undergraduate students, graduate students, postdoctoral fellows, and faculty from both institutions. This year it will be held on February 5, 2016, in the SSMB Auditorium at CofC. SYNAPSE (the Symposium for Young Neuroscientists and Professors of the South-East) is a regional conference for undergraduates and professors. Students in BIOL/PSYC 447, the Seminar in Neuroscience, traditionally attend this conference. In 2016, it will be held at the end of March at Presbyterian College in Clinton, SC. Frontiers in Neuroscience will be held on April 4, 2016, at the Omar Shrine Temple Auditorium in Mount Pleasant, SC. Professor Amy Arnsten of Yale will be giving a presentation entitled "Stress Impairs the Higher Cognitive Functions of the Prefrontal Cortex," and Professor George Paxinos will be the special guest at an "Ask the Expert" forum. The School of Sciences and Mathematics Poster Session will be held in mid-April 2016 in the SSMB Auditorium, and Psychology's Student Awards and Research Day will be held around the same time, most likely in the Stern Center Ballroom. 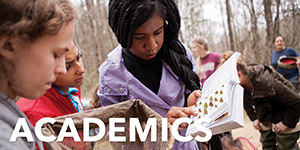 The South Carolina Academy of Science meeting will be held on April 16th, 2016, at Winthrop University in Rock Hill, SC. Students can apply for travel awards to cover some of the costs of attending these conferences. 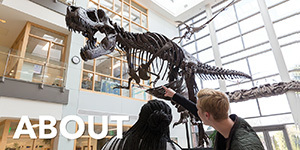 The College's Undergraduate Research and Creative Activities office offers travel grants; individual departments, the Student Government Association, and the deans can sometimes contribute as well. 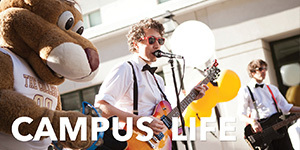 The Neuroscience Club hosts a series of neuroscience-related activities throughout the year. For more information, contact Danielle Schwartz (schwartzdj@g.cofc.edu), the club president for the 2015-2016 academic year. Neuroscience students participate in a variety of outreach activities, including Brain Awareness Week, that are funded by a grant from the Howard Hughes Medical Institute. 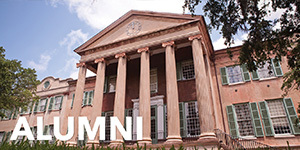 For more information, check out CofC's HHMI website. Congratulations to Danielle Schwartz, the Neuroscience Club president, who won the inaugural Outstanding Leadership and Service Award! Danielle is a graduating senior Biology major and Chemistry/Neuroscience minor in the Honors College at the College of Charleston. She served as the Neuroscience Club Vice President (2014-15) and President (2015-16) and was also a member of the 2016 Neuropalooza planning committee. Danielle currently works as a research assistant at MUSC, conducting both clinical and pre-clinical studies on drug addiction. 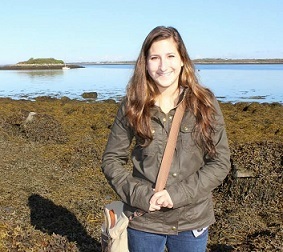 Her future plans include applying for MD/PhD programs to train as a physician scientist. The Neuroscience Steering Committee (NSC) may confer this award to recognize a graduating student or recent graduate who has provided outstanding leadership and service to the Neuroscience Program. These leadership and service efforts may include contributions to the Neuroscience Club, Neuropalooza, Frontiers in Neuroscience Research Day, and other exceptional initiatives in support of the Neuroscience Program. Students do not apply for this award. Rather, a student must be nominated by at least one neuroscience roster faculty member, who shall submit a formal nomination letter to the Neuroscience Program Director by April 15th. The nomination letter shall include the specific reasons that the Neuroscience Steering Committee (NSC) should give the award to the nominee. Note that the award will not automatically be granted to a student who holds office in the Neuroscience Club or any other organization; rather, nominators must show that the nominee’s leadership and service are outstanding. Candidates may be from any major, but they must have declared their neuroscience minor or their computational neuroscience concentration. The NSC does not have to give an award if it receives no nominations or decides that there are no meritorious candidates in a particular year. If an award is given, then typically only one student shall receive it. In extraordinary circumstances, however, the NSC may decide that more than one student should receive the award. The award will be given at the main May graduation each year. Students are eligible if they graduated after the previous May commencement (e. g., they graduated in the previous summer or winter), or if they are eligible to graduate at the upcoming May commencement. The NSC shall make the final determination of eligibility for this award. The NSC will vote on the winner(s) from the eligible candidates for whom letters have been submitted. Tie votes will be broken by discussions and revote, or, that failing, by GPA in the neuroscience minor or computational neuroscience concentration (calculated to 3 significant figures), then by the number of credits earned in the major, then by the overall GPA (calculated to 3 significant figures), then by the Program Director.